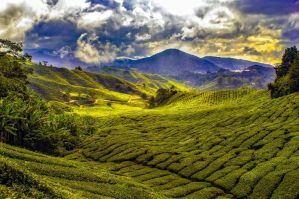 Malaysia is a popular travel destination for backpackers who are visiting Southeast Asia. It has a more modern feel than some other nearby countries, but the prices remain affordable. There is no shortage of hostels in most popular destinations in Malaysia. It's usually possible to find a room after you arrive, but if you're looking to make reservations, then the hostels below are popular and listed on most booking websites. How much do hostels in Malaysia cost? A quiet and centrally located hostel in Kuala Lumpur. If you're looking for a quiet and affordable place to stay in Kuala Lumpur, then BackHome Hostel is a popular option. The rooms are basic but reliable, but the location is really the main selling point. It's very central and is near Petaling St and Chinatown, the central Market, Merdaka Square, KL Tower, the Islamic Art Museum, and many other popular sights in the city. The hostel has a rooftop bar that's actually located about five minutes away. The staff are friendly and welcoming, and this makes a quiet and comfortable place to retreat to after a busy day exploring the city. If you want a bit of privacy, there are double private rooms available. There are also four, six, and eight bed dorms for travelers who are on a tighter budget. A popular party hostel in Kuala Lumpur. Unlike much of Southeast Asia, there aren't a ton of party hostels in Malaysia. If you're looking for a lively place to stay in Kuala Lumpur, then Reggae Mansion is probably your best bet. It has a lively rooftop bar where they host regular parties until late in the night. The bar has great views of the KL Tower and the Petronas Twin Towers. This is a relatively social place and a good option for solo travelers who want to meet other guests. The pod style beds are reasonably comfortable and offer a bit of privacy. There are private twin, double, and three bed rooms if you want even more privacy. If you're on a tighter budget or want a more social setting, there are four, six, eight, 16, and 24 bed dorms. The rooms are air conditioned and guests have access to a safety deposit box and security lockers in the dorms. A comfortable, quiet, and safe hostel in Georgetown, Penang. If you're looking for a genuine and friendly place to stay in Penang, then the Dream Catcher Travelers Refuge is a good option. The staff here are genuinely interested in ensuring that your stay goes well. The location is quiet and peaceful, but the walls are a bit thin so it can still get a bit loud at night. The hostel is centrally located and is just a short walk from many popular attractions including museums, temples, bars, restaurants, and shopping malls. If you want privacy then you can stay in a double room, otherwise there are four bed dorms available. Most rooms don't have air conditioning but there are fans. A popular party hostel in Georgetown, Penang. If you're looking for a party hostel in Penang, then the Tipsy Tiger Party Hostel is probably your best option. It has a great atmosphere where it's easy to meet other travelers. There's an on-site bar that hosts a party pretty much every night. There are cheap drinks and a good crowd, that make it easy to meet other guests. If you're looking for a quiet place to sleep though, you'd probably be happier staying somewhere else and heading here for the drinks. An affordable, quiet, and safe hostel in Melaka, Malaysia. Ringos Foyer Guest House is a favorite place to stay for budget travelers and backpackers to Melaka. The staff are super helpful and friendly and they can help you arrange any number of tours or activities in the area. The hostel is centrally located just a short walk from Jonker Street, and there are many great museums, art galleries, and shops nearby. The hostel is social but relaxing and you can be assured a good night's sleep. During the evening they often take guests to a favorite local restaurant where you can try several local specialties. The rooms are quiet and comfortable. There are double private rooms available as well as dorms for budget travelers who don't mind a more social setting. A safe and comfortable hostel in Kota Kinabalu, Borneo. Akinabalu Youth Hostel is an affordable but basic place to stay in Kota Kinabalu. The rooms are relatively comfortable and there are both private rooms and dorms to choose from. Private rooms are doubles and dorms sleep either four or ten people. The four bed dorm is female only. The hostel has all of the standard amenities available including breakfast, evening air conditioning, cable television, internet access, luggage storage, laundry service, and security lockers. The hostel is located near Gaya Street which is in the heart of the city and accessible to almost anything you might need. A safe and comfortable hostel in Kuching, Borneo. Marco Polo is a favorite guesthouse in Kuching, Borneo. It's located in the historic Chinatown area and is near Padungan Street. It's in a convenient location near everything you might want to see or do and it's close to the famous Kuching waterfront, the Main Bazaar, India Street, Sarawak Museum, and all kinds of shopping. This is a small but comfortable place to stay. It's basic and affordable and there are four rooms that range in size and sleep between two and eight people. Each room is air conditioned. A safe and comfortable hostel in Langkawi, Malaysia. Zackry Guest House is a popular place to stay in Langkawi. It's a basic but comfortable option with a friendly staff and a variety of amenities for guests. The hostel is family run and located on Tengah Beach, a bit outside of the center of town. There are several good restaurants nearby and scooters are available for rent if you want to travel further. The beach is about half a kilometer long and is just a short walk away. The hostel has a nice common area and dining area. There's a library and shared kitchen available to guests as well. The hostel has a wide variety of private rooms including singles, twins, and doubles. There are also small dorms for travelers on a tighter budget.